Our ultimate Auto Detailing package is unmatched by any other auto detail. Simply put we clean and polish everything. If you feel that your vehicle isn’t too bad but still needs a good detailing. Then this is the package for you. We take pride in every car wash to ensure customers satisfaction. We’re sure you’ll feel the pride right at the moment your eyes fall amazed at what less than 30 minutes could do to your car. Our premium Platinum Car Wash is the best car wash ever. Do not mistake us for your average car wash service. 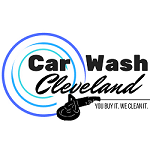 We certainly will wash your car, but we go far beyond your exterior to make sure every inch of your car will looks great. Semi & large trucks, buses and other large commercial vehicles are cleaned at 91 Karl Berea Oh.